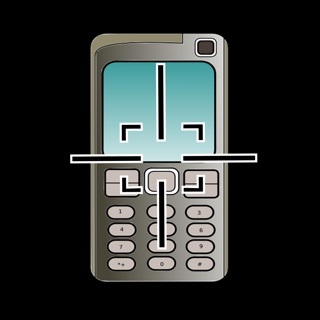 Ready for the best barcode scanner to hit the app store? Well here is your chance to take it quickly while it's only a dollar! Get it now for less than a cheeseburger, this offer will end very soon! "I saved $11 on my first purchase! Payed for itself right away." "The tool I use whenever I need to buy something. Very easy to use and saves so much money. Everyone should have this!" 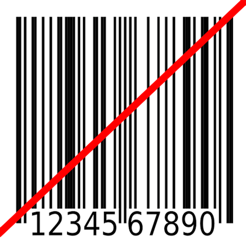 Barcode Scanner Shopping scans barcodes and gets you a whole list of vendors and prices. 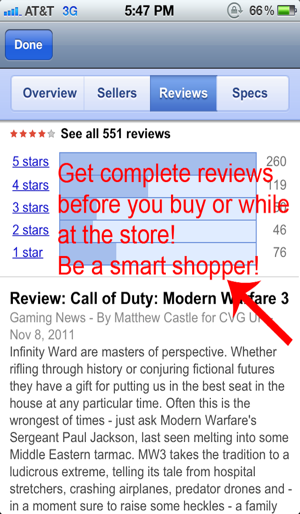 Use it to match and compare prices or buy right away! You can get close by locations and the app tells you which stores have your product in stock and you even get the hours of operation! You can also purchase them online! Just ran out your favorite product? Scan it, and before you know it, you have everything you need to know to be a smart shopper! 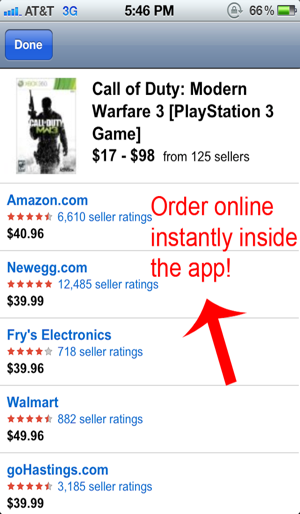 This makes shopping very convenient by giving you everything that you will ever need to know! 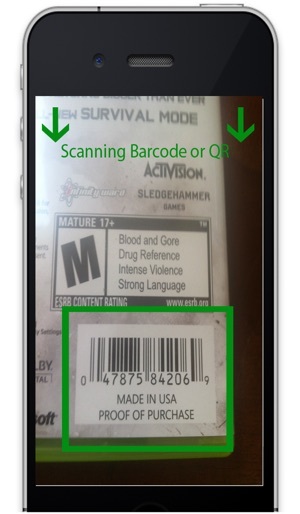 This app automatically scans the barcode. Just hover the camera around the barcode, and you will get a quick shot and quick results. 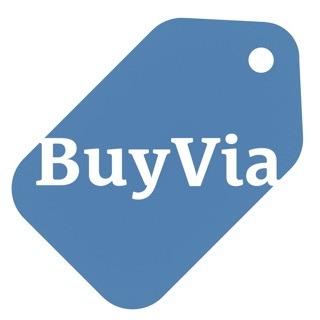 -Buy right away, don't miss out on one time deals. 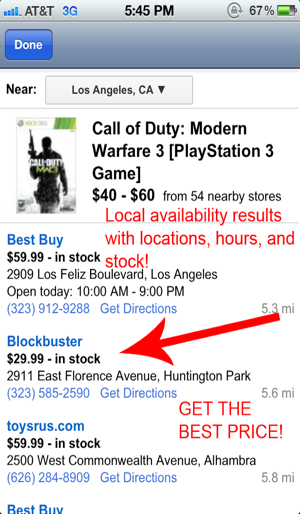 -Find local stores with availability and hours of operation information! How convenient is that? This application scans most ANY barcodes out there! We make sure it is always reliable and always ready for you to use! *Device has to have camera for auto scan. It is the simplest app ever found to scan barcode for check price of the most common items, if you are looking for keep up to date with prices of many items , you will need this app for sure. I have tried many items but no data for it , it is useful only with common known things. 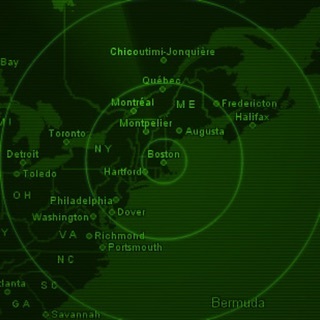 There are few scanner apps that are a lot better than this one. The scan feature works well but I'd prefer results to be kept in the app rather than just providing a google link. 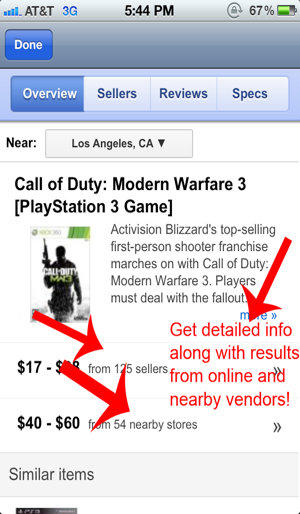 The saved search feature works well but overall it's not worth paying for this service. It's very useful app . I think everyone needs this app because it compares all prices for all products that we buy. The design is simple and easy to use. Thanks.